Pilates is a fitness system that improves flexibility, builds, strength and develops control and endurance in the entire body. Pilates helps develop core strength, better posture, leaner muscles and a strong back. All important of developing and creating a healthier lifestyle. Deep breathing is an essential part of Pilates exercise. Pilates classes will help you develop correct breathing patterns. The aim is to help improve your blood circulation during the class and get that vital oxygen into your muscles. The aim is to relax tense muscles and help the mind to focus on the body. Working with the breath also brings a natural rhythm to movement that greatly enhances the experience of a workout. Pilates Classes focus on concentration because good concentration allows students to perform the exercises as correctly as his or her current skill level will allow. Concentration and focus on your body and your muscles will enhance your experience. You will feel better and get more out of the class by applying a high level of concentration to your exercise and how your body responds. In a Pilates class you will learn how to control your muscles. Your instructor will teach you how to do this. By practicing and exercising muscle control you will see effective results quicker and classes becomes more and more enjoyable. Muscle precision is a product of the strong mind-body connection developed by good breathing and concentration. When you join a Pilates class your instructor will help you work on getting your your deep abdominal & pelvic muscles working together in harmony. The main benefit of centering in Pilates is the improved stability of the body by maintain intra-abdominal pressure during activity and support the back. This action forms the basis of many Pilates exercises. The centre is the focal point of Pilates and all movement should begin from the centre and move outward to the limbs. Getting this right means that all your exercises will work your muscles effectively and you will get more out of your classes. Pilates movements must aren't robotic in a Pilates class you will flow through the transitions this helps to build a workout that challenges the body. It will give you a sense of energy and progression. Your instructor will lead you through your exercises each one flowing into the next so that you progressively build on each transition. This is why Pilates gives a sense of flowing energy. No matter how old you are, what the type of job you do, female or male Pilates can help. Age is not a barrier there are cases of women in their 90's discovering Pilates and enjoying every minutes of it. Bloggers suffering from back pain turning to Pilates when all else has failed. Men looking for a fitness regime that would improve their fitness and shape after years of neglect. 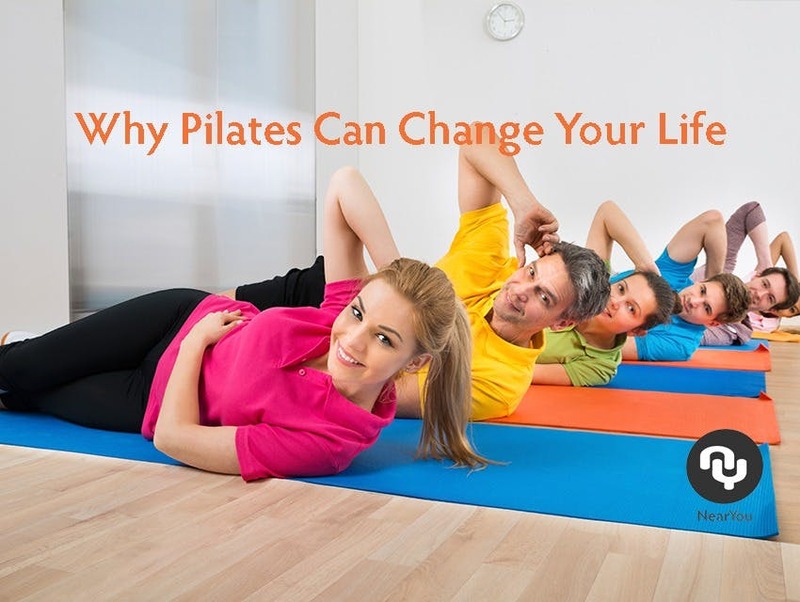 Pilates classes can help, tone, improve balance and get back a healthier lifestyle. Find a 5 star Pilates instructor and FEEL the difference.